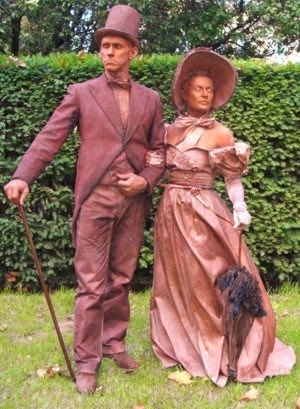 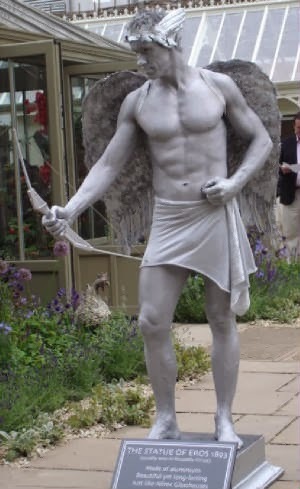 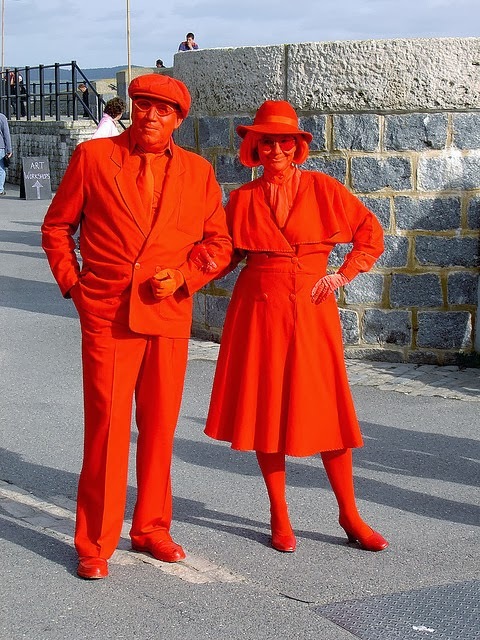 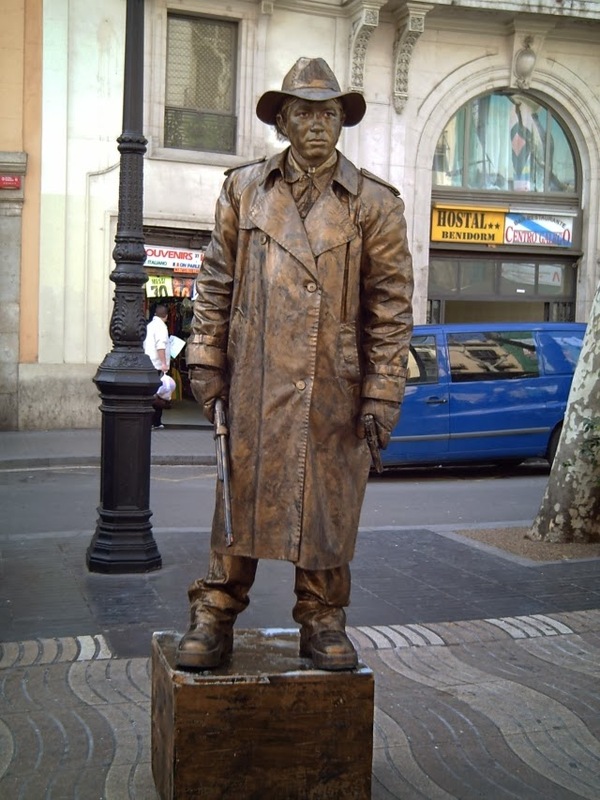 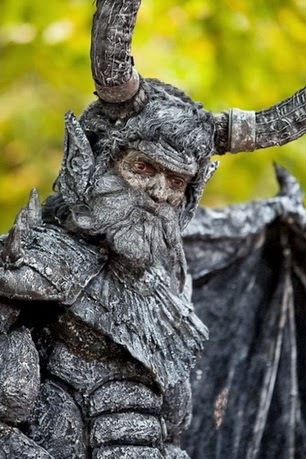 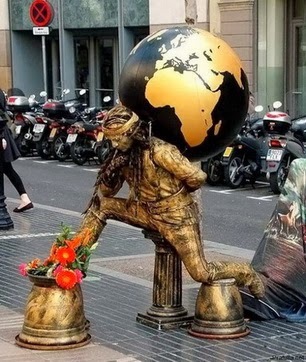 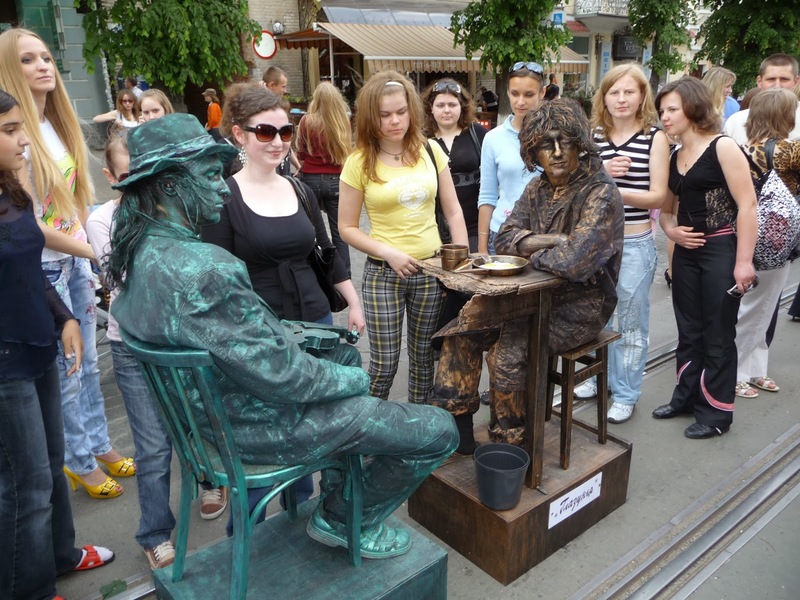 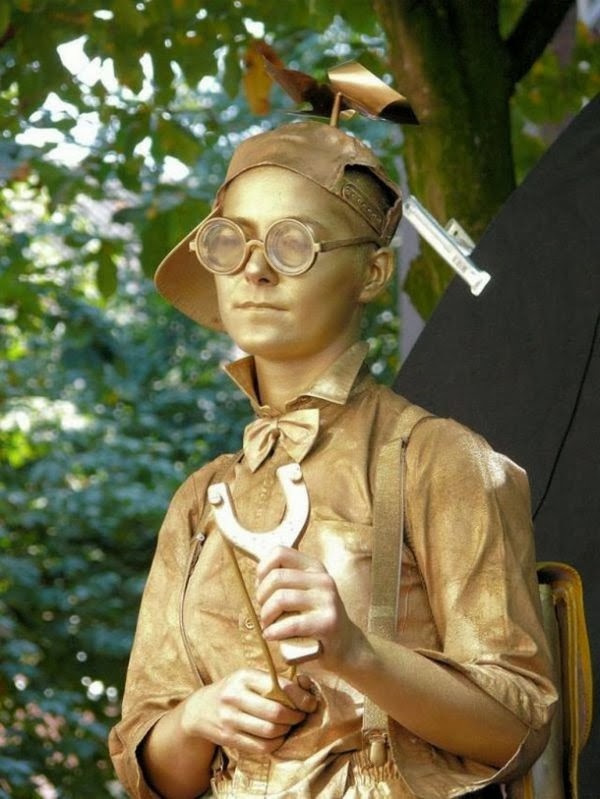 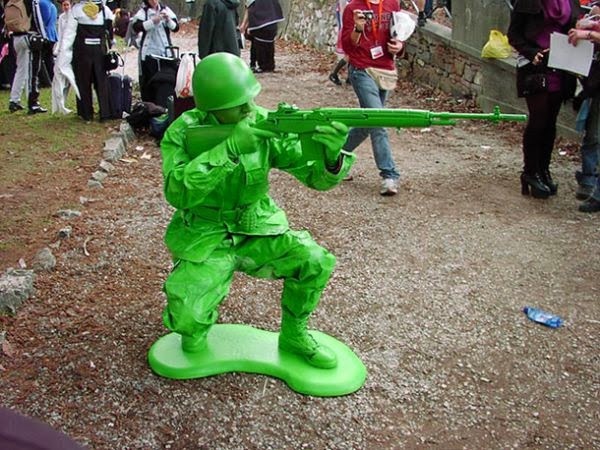 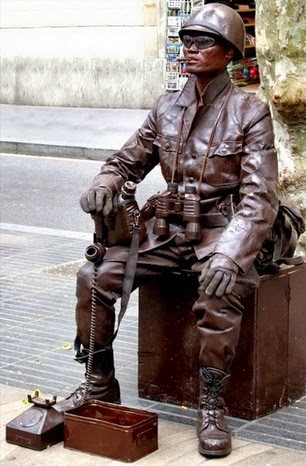 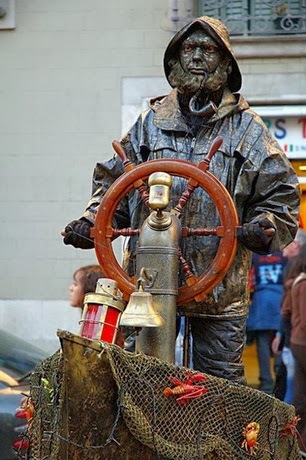 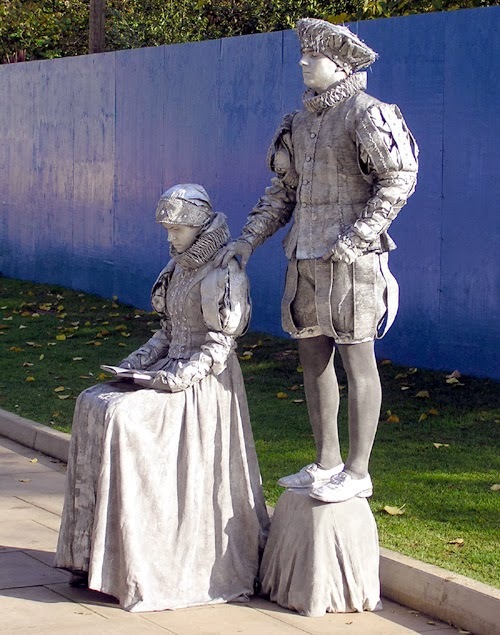 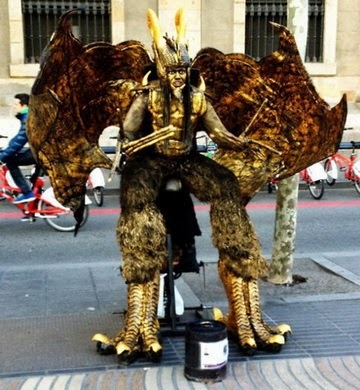 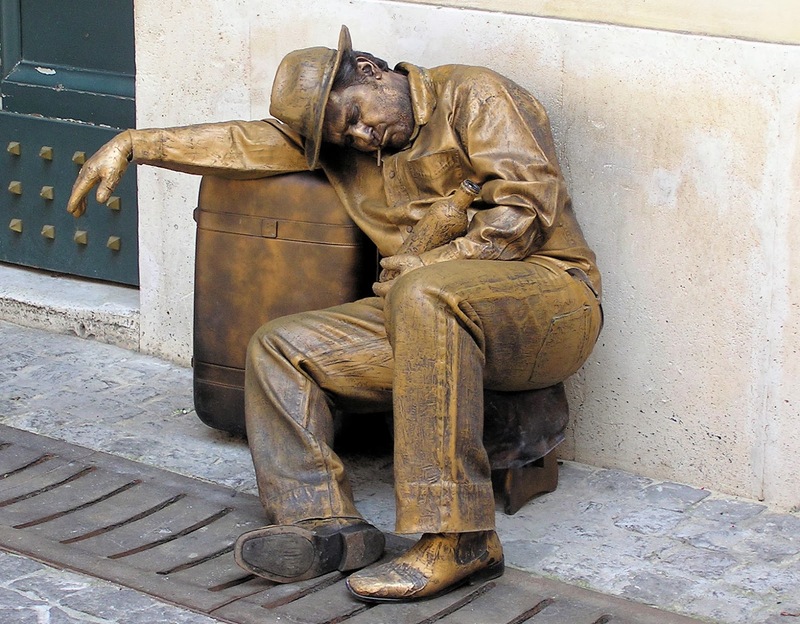 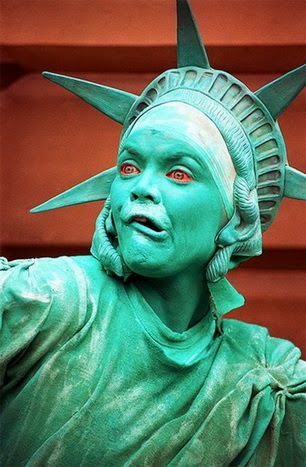 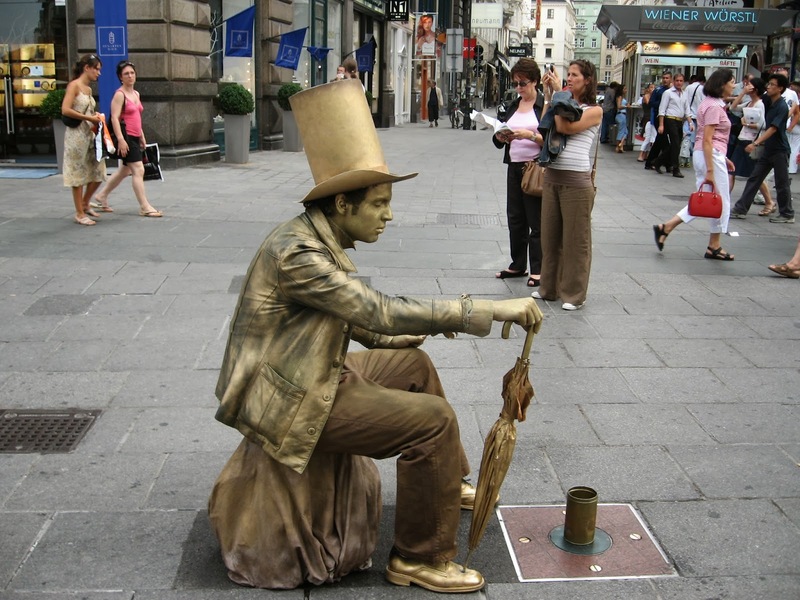 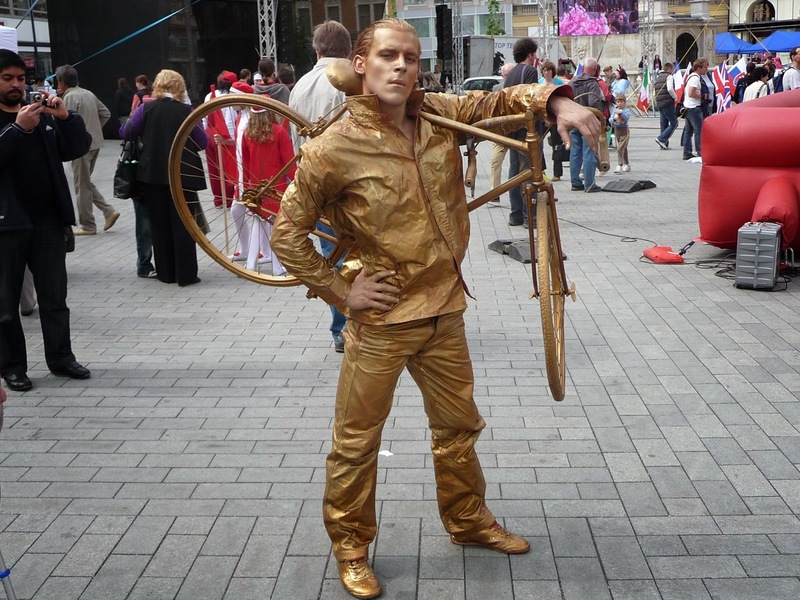 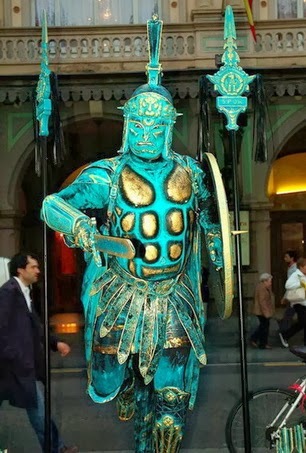 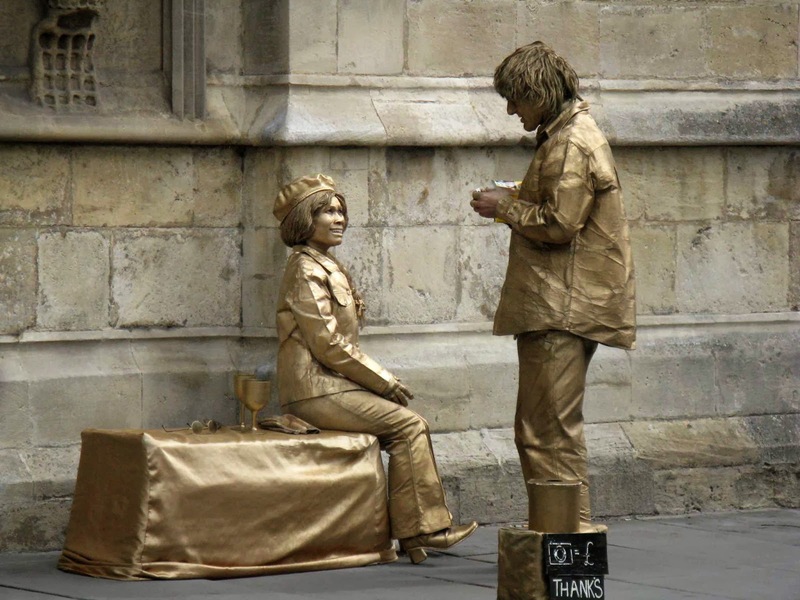 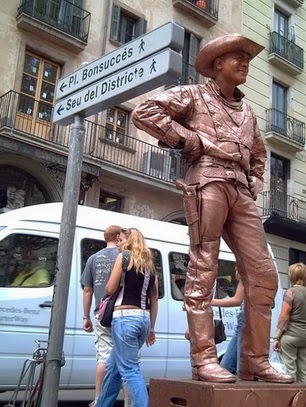 The term living statue refers to a street artist who poses like a statue or mannequin, usually with realistic statue-like makeup, sometimes for hours at a time. 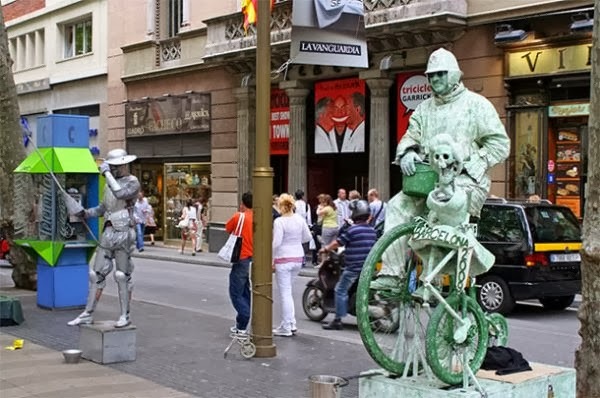 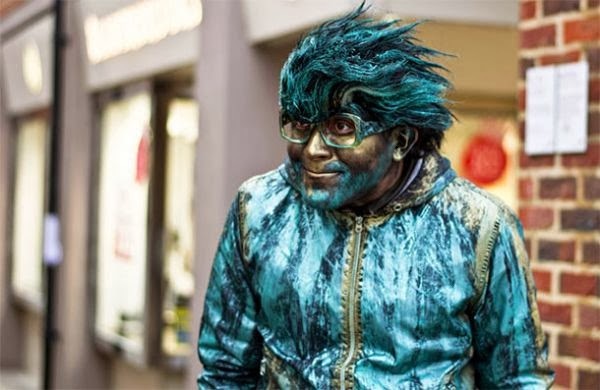 Living statue performers can fool passersby and a number of hidden camera shows on television have used living statues to startle people. 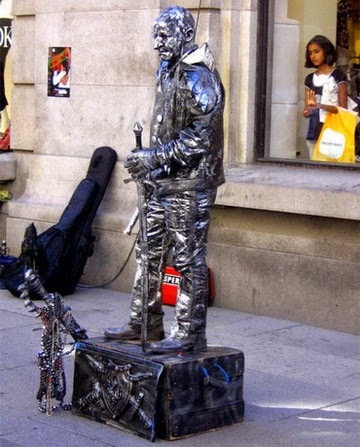 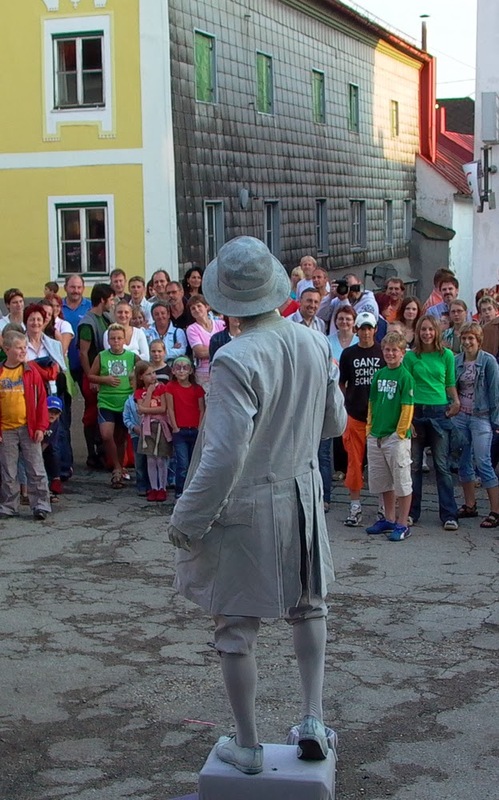 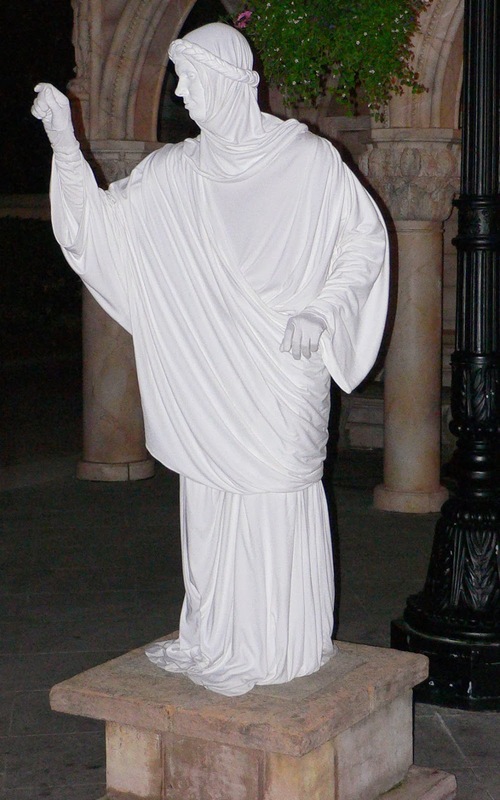 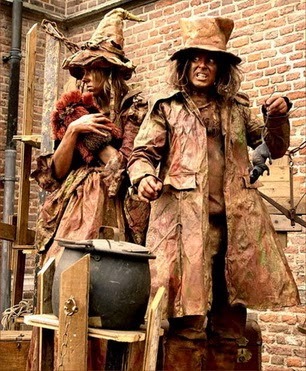 As with all performing arts, living statue performers may perform as buskers.